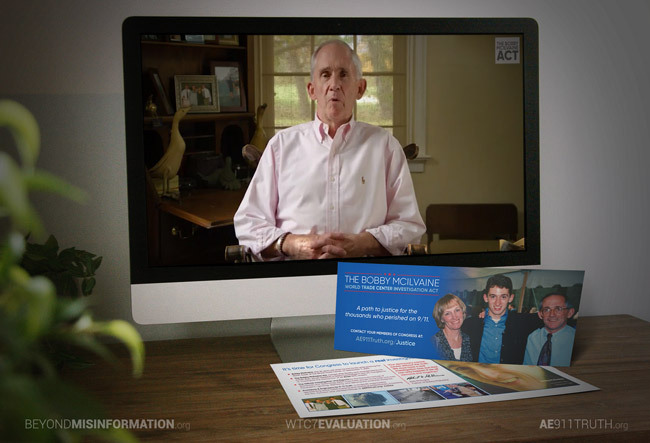 Today, we are tremendously pleased to announce the release of our Bobby McIlvaine Act video, which was made possible by the donations of hundreds of dedicated activists. 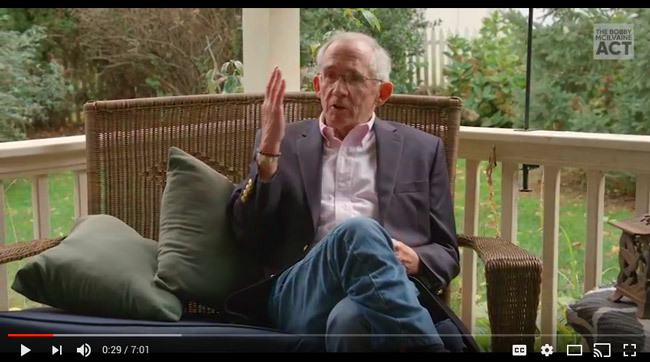 We invite you to watch this moving seven-minute piece and then help us share it as widely as possible. 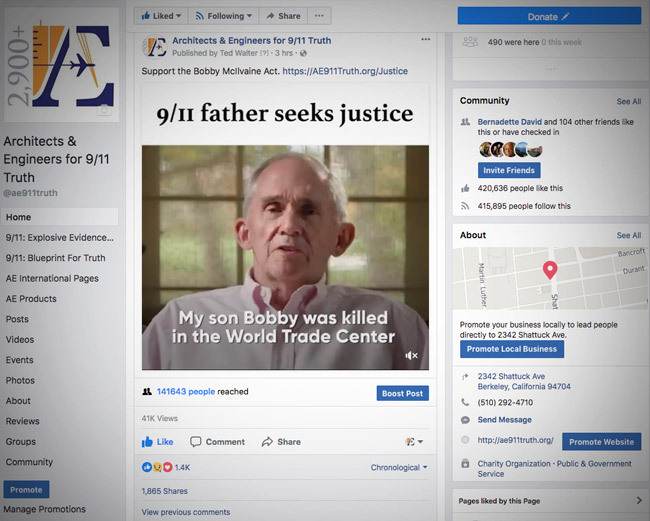 Our goal is to bring awareness of the Bobby McIlvaine Act to millions of people who already support 9/11 Truth and drive thousands of them to our website, where they can take action. Aside from this video being a powerful tool for mobilizing existing advocates, we believe it will be uniquely effective for communicating with audiences who are new to the subject. Click “Share” on the video to show to it all of your friends on Facebook. Forward and Embed the YouTube Video! Send the YouTube link to everyone on your list and embed it if you have a website. Donate Toward the Facebook Ad! By spending just $2,000 for an advertisement, we can show the video to an additional one million viewers on Facebook. Please help us reach this goal over the weekend!